For full details and financial notes, click here. “2013 was a year of strategic progress and operational achievement for UBM against a difficult economic backdrop; the company can look forward to 2014 with confidence. 2013’s good revenue and profit growth was bolstered by a strong performance from our biennial events in the second half of the year. 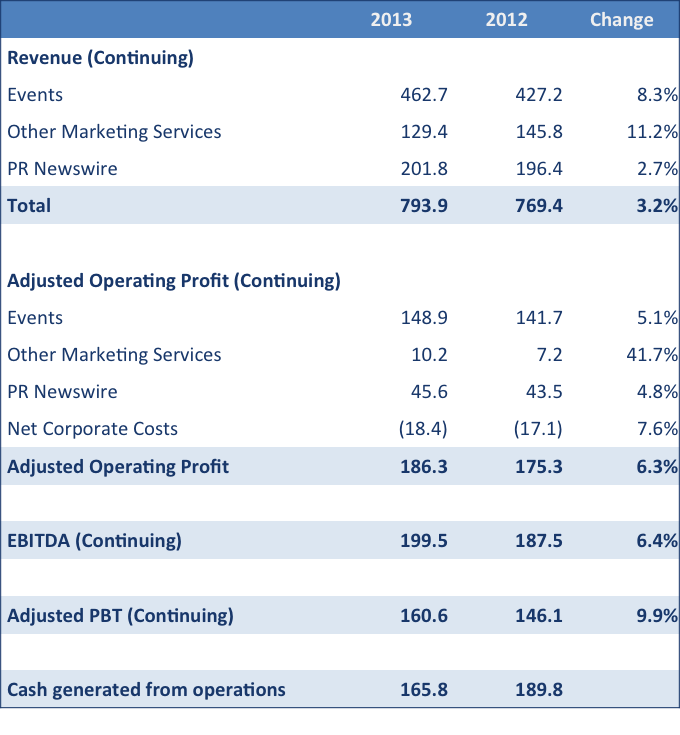 PR Newswire had a solid year in its core business and maintained its strong profitability. We disposed of our Data Services business and substantially restructured our Marketing Services activities to focus on the professional communities our events serve. We end the year with significantly higher quality earnings and with the business better positioned for structural growth.